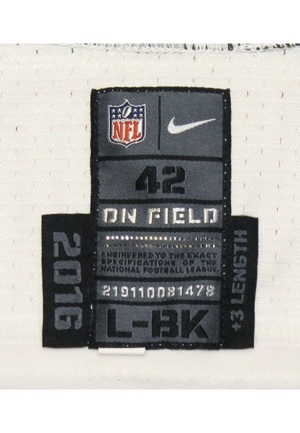 In the rear neck is the Nike manufacturer’s tag size “42” “L-BK” with three attached flag tags reading the year “2016” “+3 LENGTH” and “SLIM”. On the left inseam is a flag tag with body fabrics and washing instructions. There is Nike Flyknit on the v-neck and the NFL shield patch. 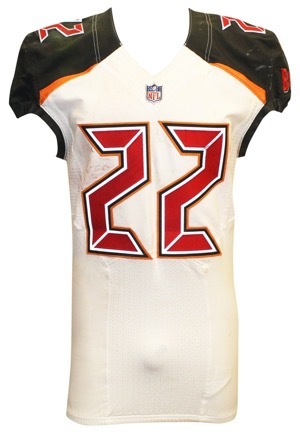 Across the front and on the back is the player number “22” done in red dotted on grey on black on orange tackle twill. 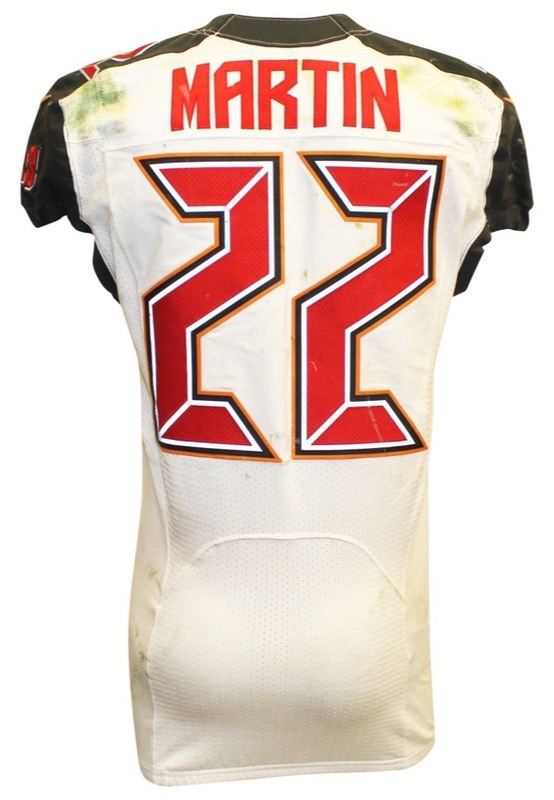 The player number also appears on both shoulders in red dotted on grey tackle twill. 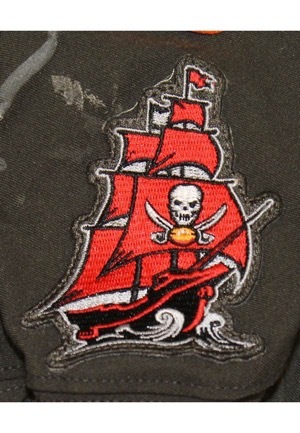 Below the player numbers on the shoulders is an orange Nike “Swoosh” logo and a “BUCS” team logo patch in red black and silver. 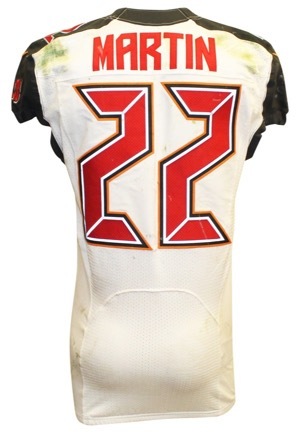 Across the back on a white nameplate is the player name “MARTIN” in red tackle twill. 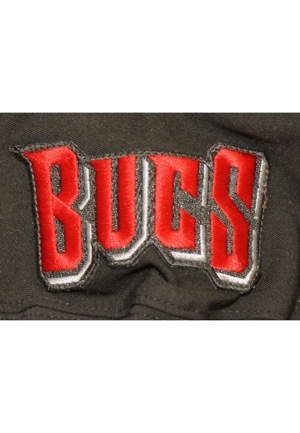 There is considerable grass and football related staining throughout the jersey and a small repair on the back. This jersey is properly tagged, was presented to us as game-used and in our opinion shows outstanding use.